Be the first to share your favorite memory, photo or story of Reggie. This memorial page is dedicated for family, friends and future generations to celebrate the life of their loved one. Mr. Reggie Fennell, age 67, of Rockmart, GA passed away Wednesday, November 28, 2018 in a Rome medical center. Reggie was born January 29, 1951 a son of Milton Fennell and Kathryn Dunn Fennell. 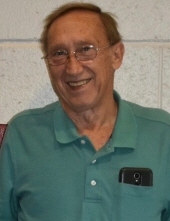 He had lived the greater part of his life in the Rockmart area where he was a member of the Springdale Baptist Church. He was a member of the Dallas Lodge # 182 F. & A.M., the Scottish Rite, the York Rite and was a member of the Cedar Valley Shrine Club. Reggie was a ASI Master Mechanic. He began his career in the automotive field at Forsyth Ford in Rockmart and later worked for M.F. Jones Chevrolet in Dallas. Reggie worked at several GM Dealerships through the years before opening his own business, Reggie Fennell's Garage which he operated for 20 years. After his retirement from full time automotive work he became an instructor of auto mechanics at West Georgia Technical College. and most recently worked for Auto Parts Company in Rockmart. In addition to his parents he was preceded in death by a brother, Randy Fennell and by a sister, Melody Fennell. Survivors include his wife, Robbie Bishop Fennell of Rockmart to whom he was married on July 19, 1980; three sons: Reginald Scott Fennell, Rockmart, Milton Brad Fennell, Cartersville and Anthony Fennell, Rockmart; two step daughters: Kathy Smith, Macon and Lindy Fairel, Rockmart; brother, Mark (Freda) Fennell, Rockmart and sister, Melissa Cagle, Cartersville; seven grandchildren; one great granddaughter and a number of nieces and nephews also survive. Funeral services will be held Saturday, December 1, 2018 at 2:00 pm in the chapel of the Alvis Miller & Son Funeral Home with Rev. Kenny Teal officiating. Interment will follow in the Springdale Baptist Church Cemetery with Masonic Graveside Rites provided by Dallas Lodge #182 F.&A.M.. Active pallbearers will include: Jeff Dunn, Heath Dunn, Mark Forsyth, Chuck Ingle, Kip Wright and Terry Heuer. Honorary pallbearers will include: Ju McCown, Eddie Dunn, Kenneth Williams, Alford Dunn andLarry Dunn. The family will receive friends Friday evening from 4:30 pm until 8:00 pm at the Alvis Miller & Son Funeral Home. The Alvis Miller & Son Funeral Home is in charge of arrangements for the funeral of Mr. Reggie Fennell. To send flowers or a remembrance gift to the family of Reggie Fennell, please visit our Tribute Store. "Email Address" would like to share the life celebration of Reggie Fennell. Click on the "link" to go to share a favorite memory or leave a condolence message for the family.